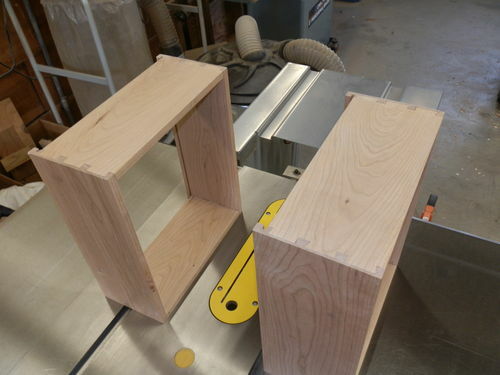 I made two small Shaker-style cabinets from Christian Becksvoort’s article in FWW #252. To give a bit more storage, I increased the depth by an inch from the original plans. 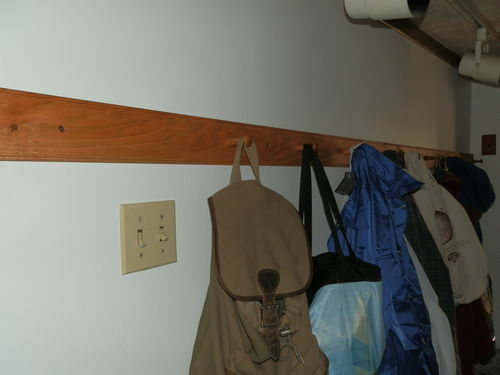 I also made two pegs and a board to hang the cabinets. We live in an old house. These cabinets are in a wacky area off the kitchen that used to be the connection between the house and the barn. Nothing here is level or plumb. The peg board is level and you can tell how out of level the ceiling is in the first photo above. 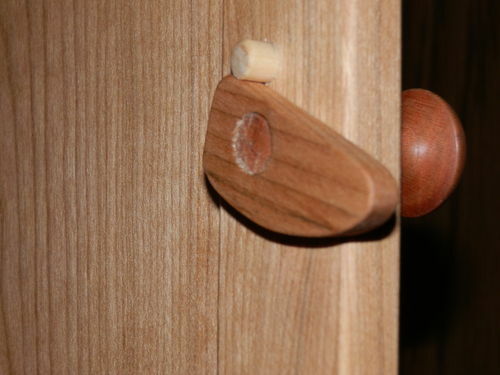 Everything is made from cherry and finished with Danish Oil. I like the way they Hang… and the latches… Awesome! 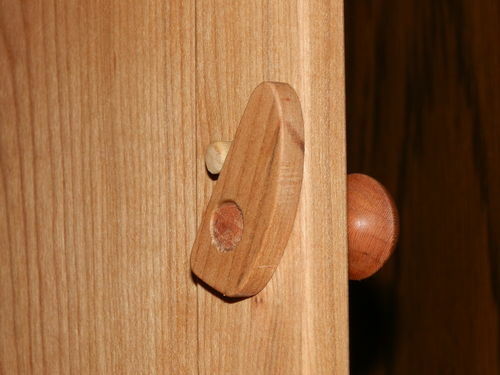 Nice workmanship, I too like those latches with a stop that works for both positions. Chuck, I love these cabinets. Nice work. Per usual, you do outstanding work. Robin’s a lucky gal to have you around!! Wonderful. That gives me inspiration for my kitchen. Beautiful work on the cabinets.